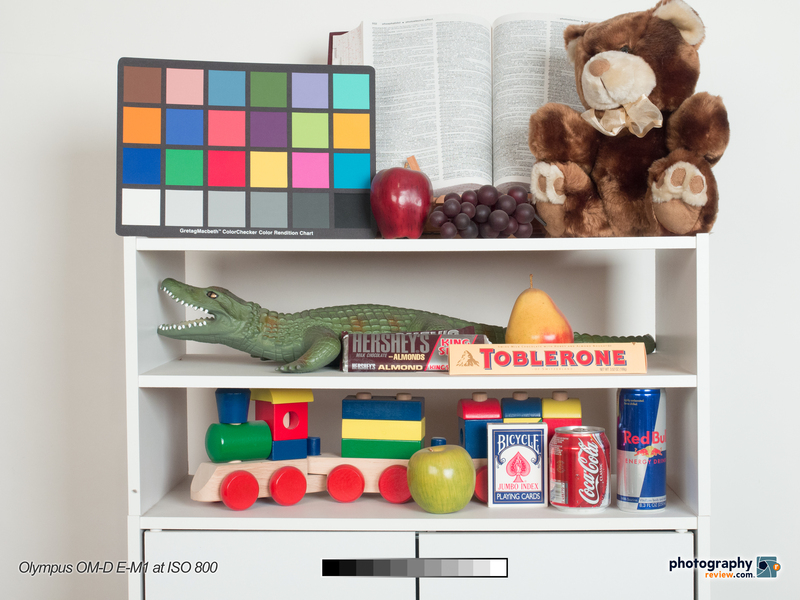 Studio testing for the new Olympus OM-D E-M1 flagship Micro Four Thirds camera is complete! You’ll find our full resolution studio test images below, along with some image quality analysis and comparison. Before I go on, I just want to say what a pleasure it is to use the OM-D E-M1. It’s been a long time since I used the E-M5 and I forgot how much I enjoyed it; as well as how impressed I was with the image quality. Unfortunately, it’s also made me start scheming to buy one, again. The E-M1 is all the camera I need for about 80% of what I shoot. The only time I really want my DSLR is when I’m shooting serious action and need impeccable continuous auto focus performance. If you’ve already read about the Olympus OM-D E-M1 (our hands-on E-M1 intro), then you know it has a new sensor. I wasn’t sure if the new sensor would have improved image quality or if it was all about the new on-board phase detect auto focus. Turns out it’s the latter. Carefully comparing our RAW E-M1 studio tests to the E-M5 tests from last year (Olympus OM-D E-M5 studio sample photos) revealed nearly identical noise and low light image quality. The color and contrast from the E-M1 do look better right out of the camera, though. The E-M1 studio tests, taken with the white balance on the tungsten preset look much more neutral than then E-M5 tests, which have a very obvious cyan cast. Olympus also appears to have eliminated a cyan / red crossover issue I’ve encountered for years in some outdoor photos with their Micro Four Thirds and DSLR cameras. That’s great news because I’ve had some serious post-processing battles with that problem. The photo below, taken this past weekend with the E-M1, might have ended up a throwaway with the cyan / red problem. However, with a reasonable amount of post-processing, I think it came out great – with accurate color and a very nice range of tones. If you’re disappointed about there not being any improvement in the E-M1’s low light image quality, don’t be. Sure, better would be nice. But the E-M1 still has great image quality, useable right up to ISO 3200 with the right subject and circumstances. I’d be comfortable shooting with it at ISO 1600 all day long, and below that it’s pretty much flawless. The E-M1’s image quality is especially amazing when you consider how much smaller the Four Thirds sensor is than the APS-C sensors in the most of the cameras it competes with. Just to confirm a hunch, I took a close look at the E-M1 sample photos compared to the Canon EOS Rebel T41 / 650D digital SLR, and at 100% the image quality is nearly indistinguishable – at least as far as noise and detail go. And when it comes to color – the E-M1 is generally more pleasing and natural-looking right out of the camera. Yes, you will get better image quality from a Sony NEX mirrorless camera. But it’s not all about image quality and I believe the Olympus OM-D offers the best balance between image quality and size. Plus, how much image quality do you actually need? I think a lot of photographers spend too much time worrying about what’s “best” and not enough time thinking about what they actually need. Personally, the E-M1 more than gets the job done for me in most conditions. Enough analysis, it’s time to let the Olympus OM-D E-M1 tests speak for themselves. The images linked below were all shot in RAW mode on a tripod in aperture priority mode at f/8 with the new Olympus M.Zuiko Digital ED 12-40mm f/2.8 Pro zoom lens. 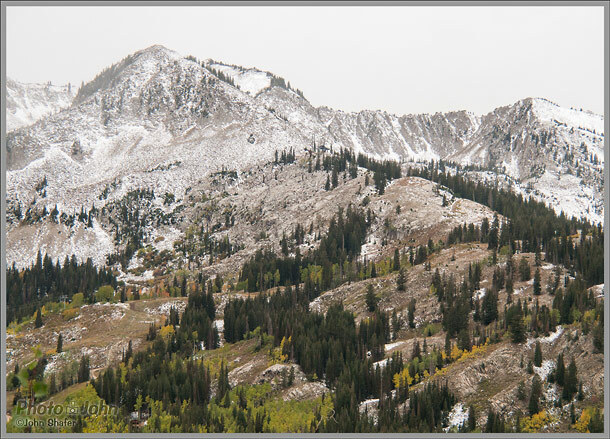 The RAW files were converted to 16-bit TIFFs with Lightroom 5.2 at the default settings. The graybar, logo and text were added in Photoshop and the images were then resaved as maximum quality JPEGs. 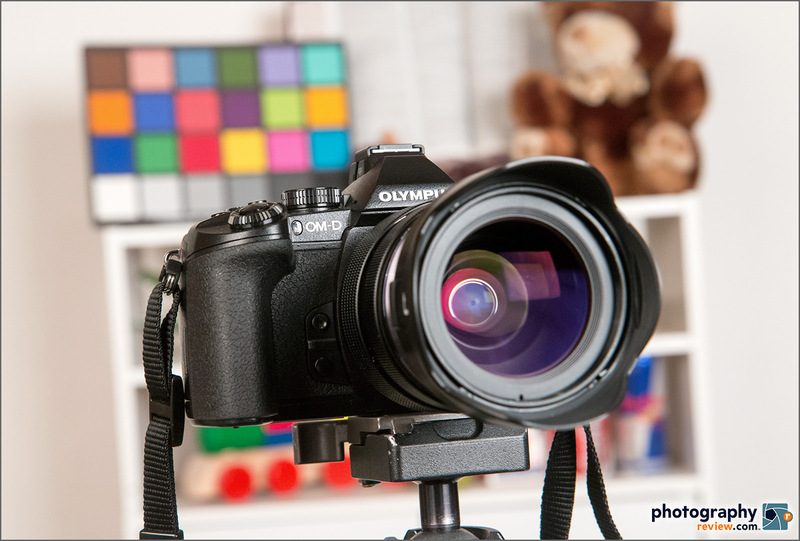 No adjustments of any kind were made at any point in the process – that includes noise reduction, white balance and sharpening. What you see is what you get. >>The E-M1’s image quality is especially amazing when you consider how much smaller the Four Thirds sensor is than the APS-C sensors in the most of the cameras it competes with. And how much??? 43 sensor area is 1.42 times bigger than Canon aps-c! Very Very huge difference!!! Actually, e-m1 has better hi iso performance than e-m5, If you compare test images in raw from both cameras at is >= 6400 there is visible difference in the blue canal noise! Ops, mistake! 43 sensor area is 1.42 times smaller than Canon aps-c!